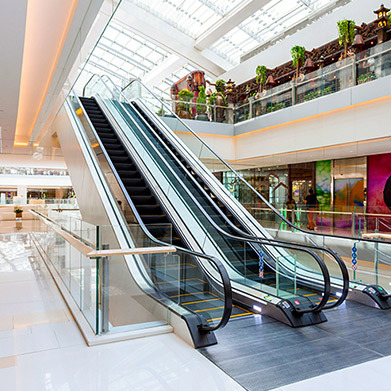 Escalators play a Major Role in Moving People from Floor to Floor in High Traffic Commercial Structures. Escalator Perfectly serves its Purpose in Malls, Office Buildings, etc efficiently moving Huge Number of Passengers to and from the Various Floor Levels. Designed for Indoor Environment using the Expertise and the Latest Technology so as to make the Equipment maintenance Free. We ensure efficiency, Long Life and Reliability for the Equipment So that they could withstand the Load Variations. Guaranteed uptime of More than 99.0% for the First 3 Years.